If you have never heard the story of The Goldfish here it is: There was a goldfish, and this particular goldfish was able to see into your soul and everything that you had done in your life. 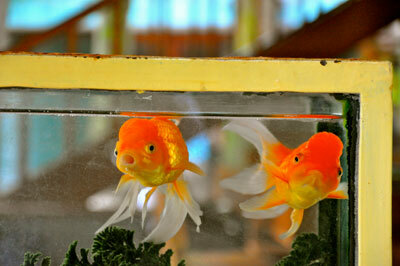 The Goldfish would either punish or reward you depending on if you were good or bad. The good people would get their wildest dreams times 1,000 granted, while the bad people would get the opposite of their most wonderful dreams. And of course, the people who were a balance of both good and bad, would get their dreams granted, just not exactly how they wanted them to. The balanced people were not completely happy, nor completely sad. People feared and loved this Goldfish, and they all tried to be the best people that they could, so as to not warrant the wrath of The Goldfish, as he could do both wonderful and terrible things.